The grammar school, like the whole country, was affected by the war. Friday afternoons were devoted to the O.T.C. (Officer’s Training Corps). The uniforms we used were old WWI types with peaked caps, button to the neck tunics, and puttees (cloth wound tightly round the lower legs like bandages). When ‘Blanco’ White the C.O. considered we were sufficiently trained, we were put forward for the ‘War Certificate A’ examination. Part of this examination required me to drill the whole platoon out on the playing field. Unfortunately, on that day the US Air Force had decided that Brighton was the ideal location for several squadrons of B17 Flying Fortresses to meet up, before heading off across the channel on a daylight raid. The parade was a disaster, as my voice was inaudible due to the roar of wave after wave of B17’s, and my order “about turn” went ignored. It is needless to say we all failed the examination that day. One of the saddest days for the school was in March 1943. It was warm for the time of year, and the windows were open as we sat in Mr Clements class, while he tried to instil some Latin into us. Suddenly there was a huge explosion, which shook the building; a German bomb had been dropped in Colbourne Road. The classroom filled with dust and the smell of high explosive. Mr Clements shot out of the class, slamming the door as he went, leaving us to find our own way out. Sadly he died that night, as he was of a nervous disposition and had a weak heart, after being gassed during the Great War. The entire school attended his funeral at the Church of the Good Shepherd in Dyke Road, a few days later. 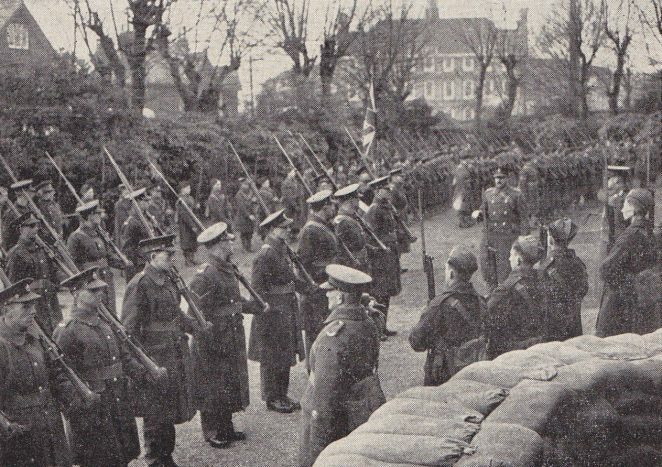 Although war, times were hard, I enjoyed my education at Brighton Hove & Sussex Grammar School. At that time the whole country worked together, with the same aim; and the school played its part. It does not surprise me in the least to hear that BHASVIC today is considered one of the top sixth form colleges in Sussex. I have a photo of my uncle John Brian Cother in uniform of the OTC at Brighton Hove and Sussex Grammer School. How do I add it to your web page? Editor’s note: Please visit our guide to contributing to the site here.